Major John Weir Foote, V.C. on left with Major Reverend Stewart B. Fast, O.B.E., M.C. on right. This is the first post war memorial to Dieppe. On Sunday, Nov. 8, a garrison parade assembles at the John Weir Foote Armoury, takes a turn onto James Street North before heading five blocks to Gore Park. 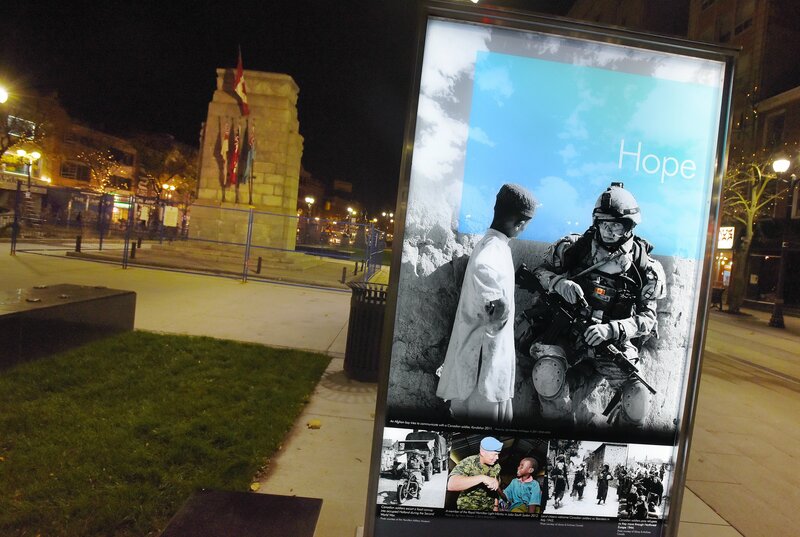 It’s a short march for a soldier, but a giant glimpse into the military history of the city. The armoury is where most of Hamilton’s reservists train. And the Cenotaph is where we remember ones who never came home. The John Weir Foote Armoury on James Street North is a giant fortress of local military history that most people in Hamilton only know from the outside. 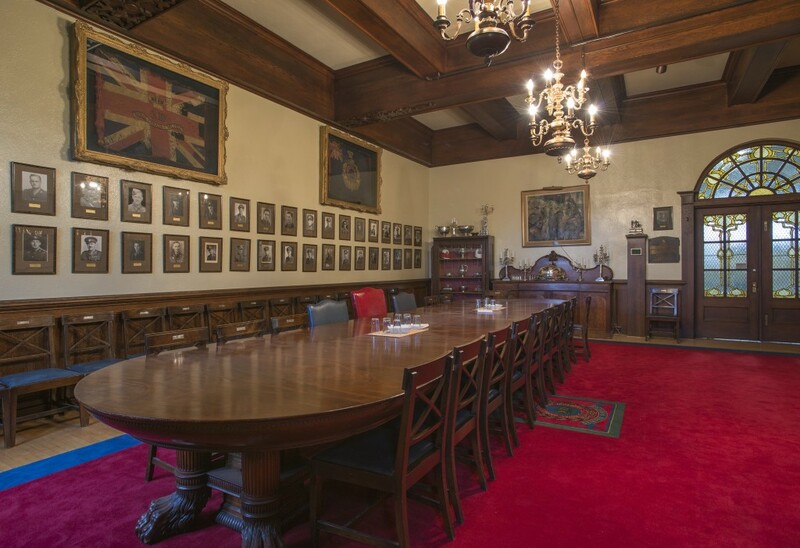 RHLI officers dining room at James Street Armoury. Photo: Gary Yokoyama, The Hamilton Spectator. 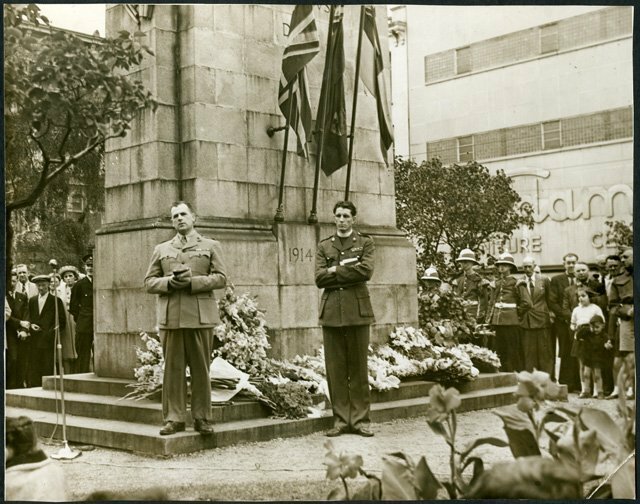 Gore Park has been the ceremonial centre of military life in Hamilton for generations. But after more than a century of parades, Remembrance Day ceremonies and sombre reflections, the park is set to enter a new phase as a kind of military history park known as Veterans’ Place. For more local history, tune in to Cable 14 for the show Flashbacks, co-hosted by Spectator reporter Mark McNeil and library archivist Margaret Houghton.